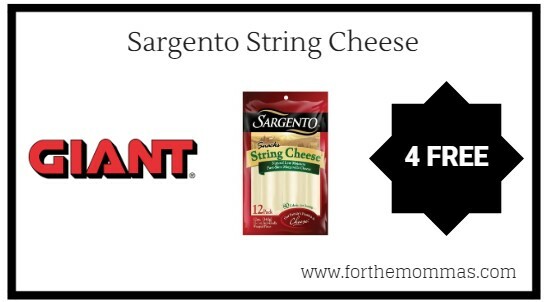 Giant: 4 FREE Sargento String Cheese Products Starting 9/21! Thru 9/27, Sargento String Cheese will be are priced at $4.00 each at Giant. Plus, you can earn $10 in gas rewards points. Combine a Sargento Cheese printable coupon with this deal to pick up Sargento String Cheese for FREE! !